The next exercise took me out of my comfort zone again as it involved stitching. 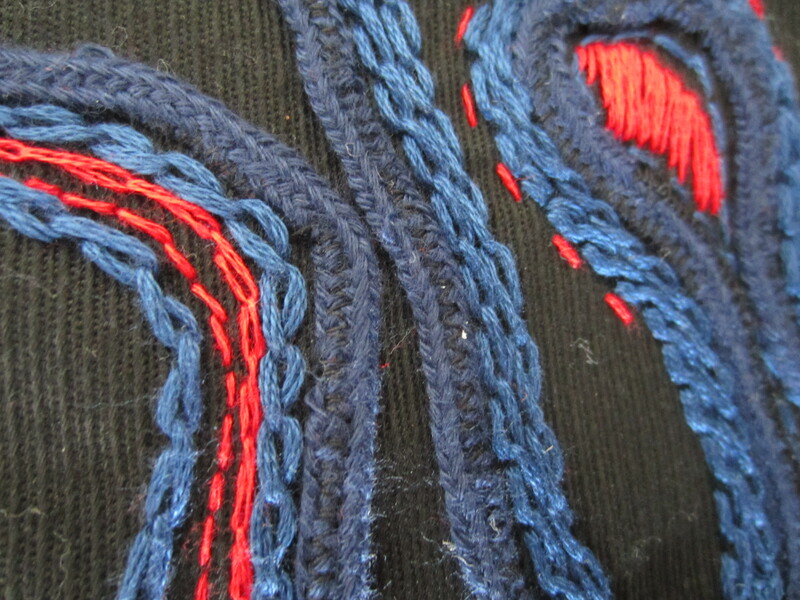 Using a black cotton background, I chose blue and red threads of varying thickness as well as some blue cord. I started off with some blue lines, fairly widely spaced. These lines looked almost invisible against the black background. When I stitched closer lines of blue thread the blue showed up more. I then added lines of red between the blue and found that the red really stood out against the blue and the black background. Also the blue was also more noticeable with the red next to it. 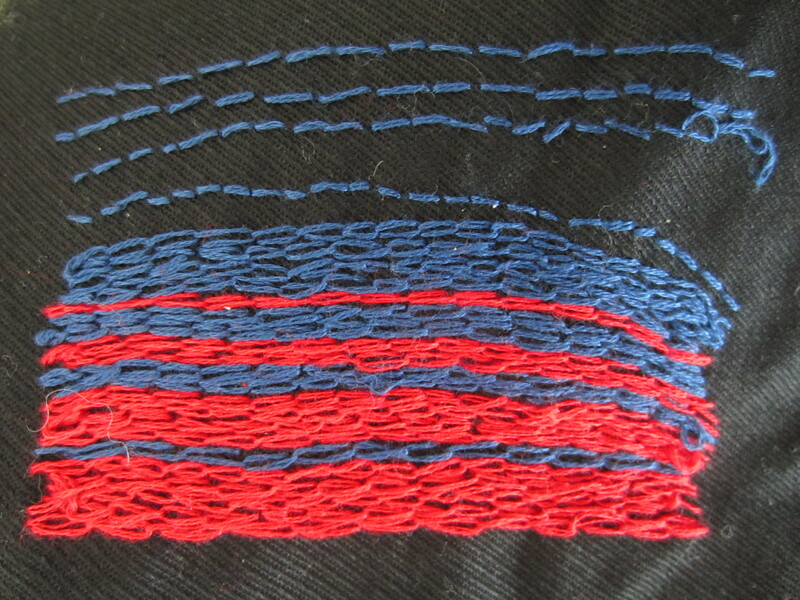 I continued with some wavy lines of blue using thicker lines of chain stitch. When I added a single line of red running stitch, the blue line stood out much more. A small block of red in the middle really stood out against the blue.